With the success of Hyrule Warriors on the Wii U and its subsequent 3DS incarnation, it makes sense that Nintendo would go back to that well with some of its other franchises. The only question was, which one would be next to get the Musou treatment? Would it be Pokemon with its hundreds of potential candidates to build a roster from? Perhaps Mario would be next, seeing as how this is one of the few game types he has yet to be involved in? 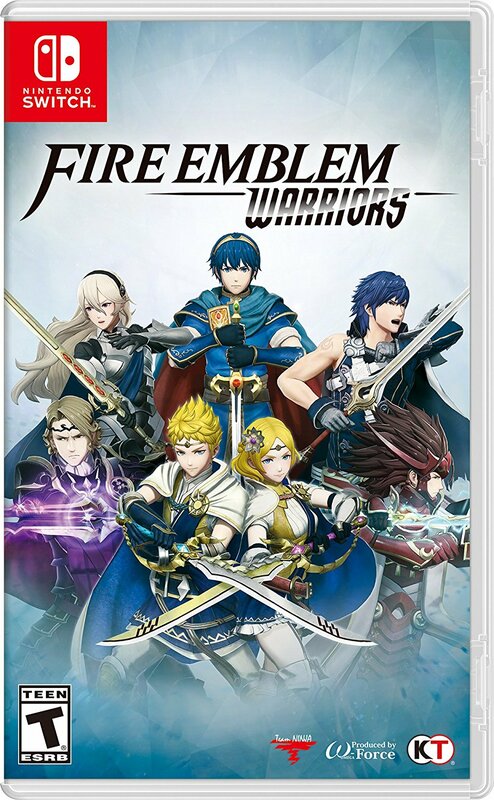 As it turns out, the big N went to one of their rising stars, Fire Emblem, and as a result we now have Fire Emblem Warriors on the Nintendo Switch and New Nintendo 3DS. If you were to have asked anyone five years ago if they thought Fire Emblem had a shot at getting the Musou treatment, they would’ve laughed in your face. The series has always had quality entries, sure, but they never really caught fire worldwide until Awakening came out in 2013. Since then, it has enjoyed a major uptick in popularity with additional 3DS releases and a mobile phone game to boot. And the massive character roster is the perfect opportunity to build a Dynasty Warriors style game from. Of course, those expecting a strong narrative with loads of character interaction like the titles it is based upon will be disappointed. 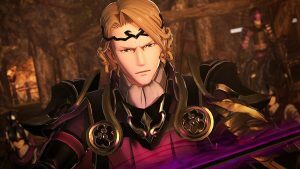 Fire Emblem Warriors follows the same formula as most other spinoff titles: two siblings encounter a dire situation that requires the help of heroes from completely different worlds in order to resolve. Said heroes join forces to form one massive mega team and expel the evil force so that everyone may return home. There are other variables at play of course, but veterans of the Dragon Quest Heroes titles be all too familiar with the proceedings. Which isn’t to say that it’s poorly executed. On the contrary, the developers have the formula down to an art form at this point, with character introductions that are plentiful, but appropriate, as well as a conclusion that is two parts predictable and one part satisfying. But there is little to no character interaction amongst the party between missions, which is what gives Fire Emblem games their identity. Even though you can build bonds between characters, each one gives the same canned responses during rank ups and the only perceived benefit to bothering with the system is to obtain items for upgrades. Also, the fact that the story focuses on characters belonging to only three games in the whole series (Shadow Dragon, Awakening, and Fates) is rather disappointing if you’ve never played or don’t care for those ones in particular. The combat and missions themselves also have an air of familiarity and refinement. If you’ve played a Dynasty Warriors or similarly styled game in the last decade, you’ll know what to expect. Both your team and your opposition will have bases under their control that continuously spawn soldiers. The goal is to capture these bases and/or defeat the opposing commander. 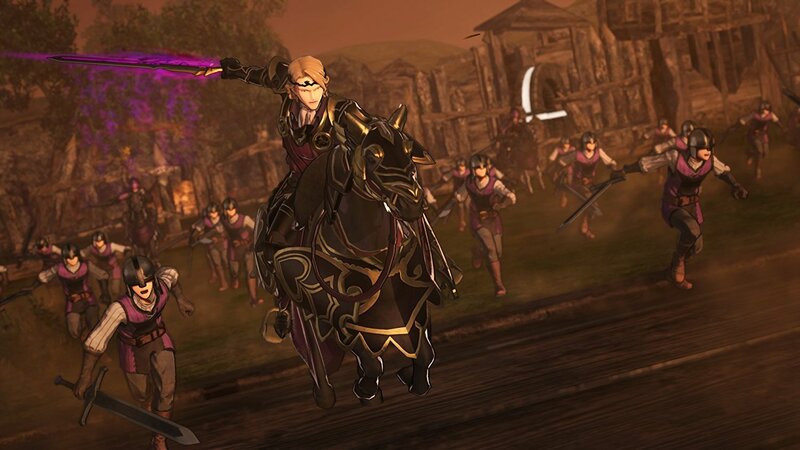 Unlike in the FE games proper though, your party members are capable of eliminating swaths of soldiers at one time by mixing up light and heavy attacks as well as flashy special moves that leave you invulnerable as you mow down entire armies. 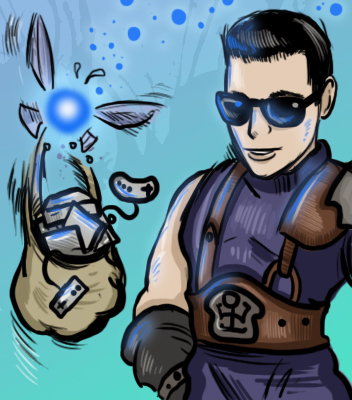 Teaming up with a party member is also possible, which comes with its own set of special attacks, not to mention having your teammate step in to take a blow for you. But it’s not all mindless hack and slash. In order to make the game “feel” like a proper Fire Emblem entry, Omega Force implemented the infamous weapon triangle system, which dictates what weapon types are effective against what. And to an extent, it does offer clear advantages to whomever is utilizing the proper weapon in any given engagement. Players are able to choose up to four characters to alternate between in battle in order to offset potential disadvantages, and several more can be chosen to aid in the fight. Rather than forcing the player to manually control everyone, the map allows commands to be issued to the A.I. in order to act in your stead. So if I want, say, Robin to engage a particular unit and Chrom stay back and guard the base, I have that freedom. Plus, if you really want to divide up the workload, a second player can jump in and take control. It’s a shame that any combatants not under your direct control are hopeless when it comes to carrying out the objectives you give them, as the strategy element was one of the few things helping manage all of the chaos. Beyond the main story, there’s a mode not unlike the one featured in Hyrule Warriors called History mode. It drops you on a 2D map with low res sprites and has you engaging with the enemies on the map to complete whatever goal that particular map has in mind. 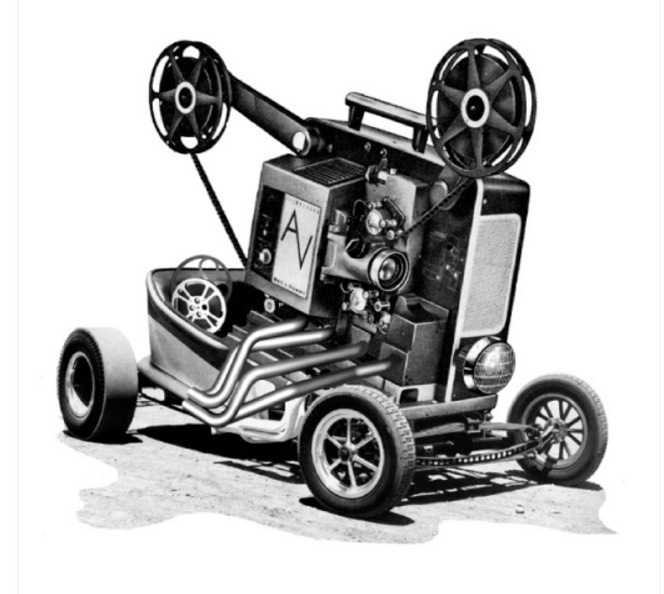 Each one is modeled after a different game or scenario, with some featuring games outside of the normal scope of those introduced in the main story. There are a couple characters as well as high end weaponry that require playing this mode to unlock, which wouldn’t be a bad thing at all if not for the uneven challenge. Battles go from laughably easy to frustratingly difficult in a heartbeat, with the more masochistic clashes being credited to those with summoned shadows that assault your leader and base and act as damage sponges (regardless of your difficulty setting). And for those wondering if permadeath is a thing, it is (sorta), though it can be turned off. Aside from your standard level ups, characters are upgradeable by expending items to add new combo attacks, item capacity, and damage resistance. 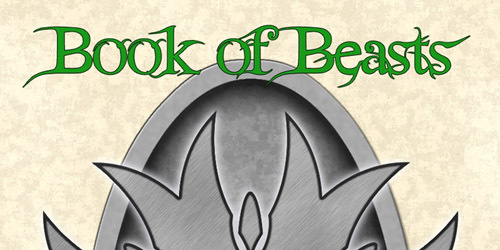 These items are earned by downing units in battle or by improving the relationship between your party members, and obtaining a master seal will allow you to class change them altogether. New weapons are obtainable for everyone on your team, though you’ll find that characters with a specialized weapon (such as Chrom and his Falchion) end up better off with that weapon anyway. Most weapons come with slots that when fused with other weapons, imbue them with passive abilities, so there’s also that. 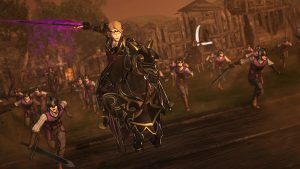 Fire Emblem Warriors has one of the larger rosters for a Musou spinoff entry, with 20+ playable characters. In addition, the game touts a season pass that will unlock more characters and maps for the History mode. While not surprising, I do find it a bit tasteless that some of the characters that are going to be DLC are technically in the game, just not playable (sort of like how Hyrule Warriors had boss characters that couldn’t be played as until “unlocked” at a later time). 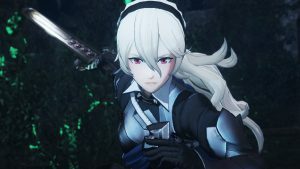 Amiibo support is a bit disappointing as well, with the accompanying Chrom and Tiki merely unlocking weapons for those two characters that are less than impressive. The Switch hardware seems to perform well under pressure in both the handheld and docked modes from what I could tell. Having the console docked does allow you to prioritize resolution or frame rate, which is something I don’t often see from a Nintendo game. The soundtrack is top notch as well, offering up mix of the old and new. The game out of the box only includes the English dub, but you can download the Japanese audio from the eShop for free if that is more your thing. Good thing too, since the quality of the English cast is a mixed bag (though to be fair the ones that do their character justice, do it extremely well). This is going to be one of those first party titles that will be extremely easy to figure out where you stand. 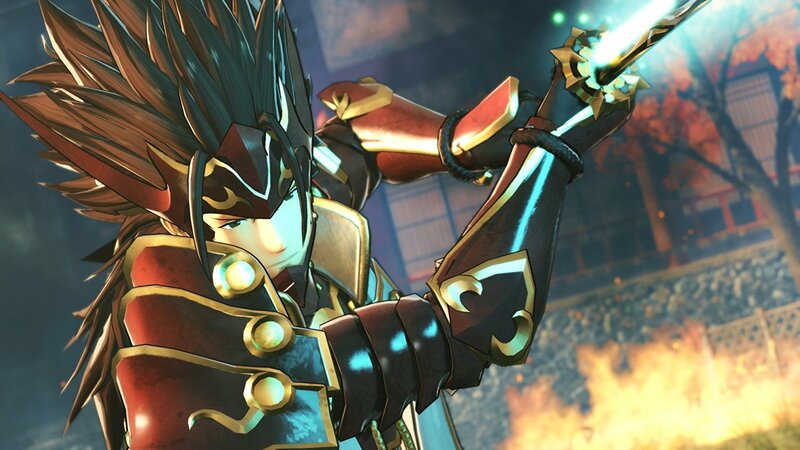 Did you like Hyrule Warriors or Musou games in general and happen to like Fire Emblem? This is a no brainer. 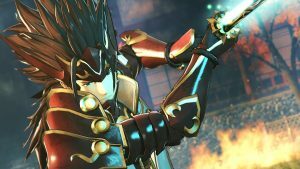 Like Musou games, but not FE necessarily? Probably still an easy purchase. 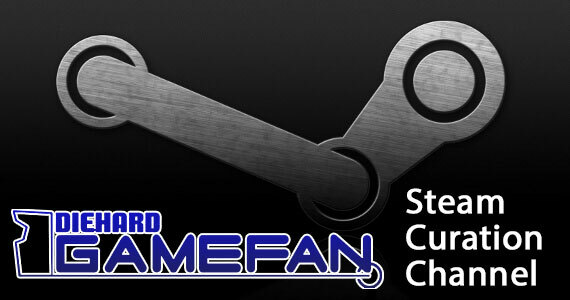 If you like Fire Emblem and don’t like Dynasty Warriors or any of their brethren, then this will be a tough sell. 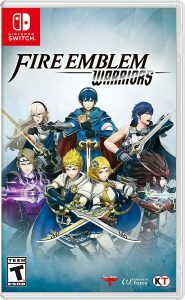 There is very little elevating this particular entry above the others aside from the fact that it’s well polished and contains some FE franchise mainstays, such as weapon triangles and the ability to direct and team up units. The narrative and level of character interactions are disappointing, and of course, there’s always the repetition that comes with playing a game like this. It’s one of the best Musou games that has come out of Omega Force yet, but if you’re not already a fan, it’s a moot point. 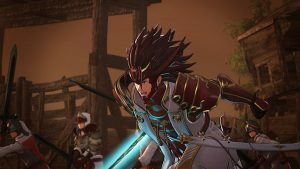 Fire Emblem Warriors aims to follow in the footsteps of Hyrule Warriors by combining one of Nintendo’s popular franchises with the chaotic Dynasty Warriors formula. And to that end it’s successful, as it is not only one of the most polished Musou entries to date, but manages to integrate some Fire Emblem mainstays such as its infamous weapon triangle and permadeath. The game performs well too, even when piling a ton of enemies on screen at once, both while docked and in handheld mode. The difficulty is uneven at times, with some battles seeming insurmountable even while overleveled, and most being insultingly easy. Also, despite the large character roster, having a season pass in place for DLC featuring characters that are already in the game is a bit shameful. 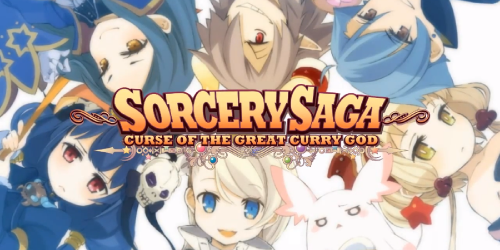 Still, it’s a title that sets out to do a specific thing (create a Fire Emblem Musou) and does it really well. And if that’s a thing you’re in the market for, it’s absolutely worth a buy.